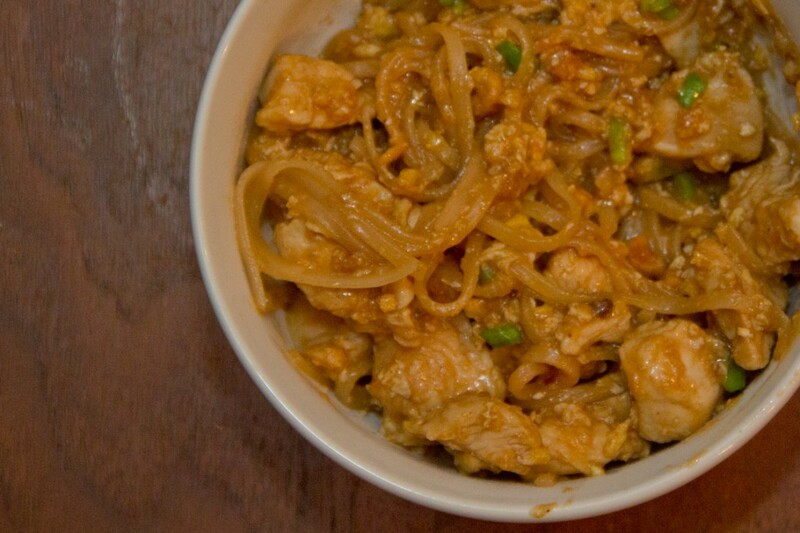 Chicken Pad Thai is one of my favorite Asian Meals. 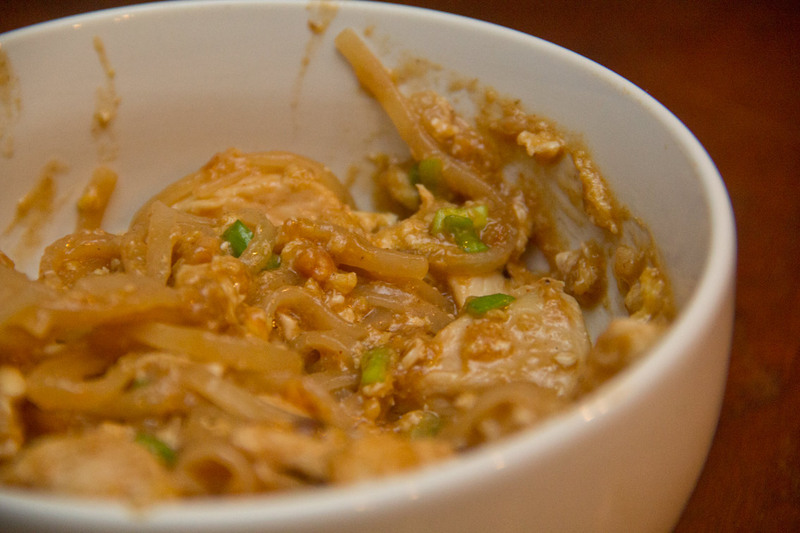 It’s got pieces of chicken tossed and stir fried with rice noodles in a tangy, sweet, and savory sauce. Pleasing to any palate. Cut the chicken into bite size pieces and toss into a wok (that has a bit of oil in it) over medium heat. Pour some sauce (about 1/4 bottle) onto the chicken as it cooks. Fill a pot with HOT water and set your noodles in their to soften for 5 min. Stir the chicken in the wok and add all the garlic and most of the peanuts. Stir the chicken some more and add a little more oil and add the noodles. 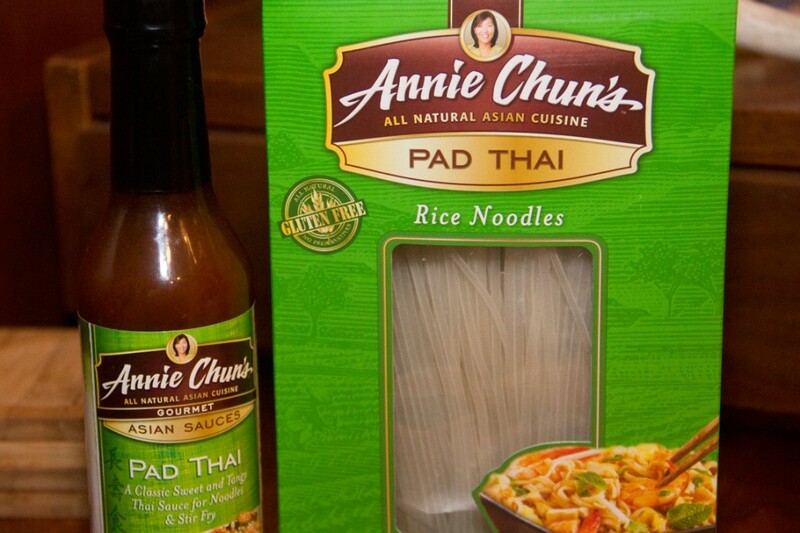 Pour more of your sauce (1/4 bottle) onto the chicken and noodles and stir them around. Now make a hole in the middle of the pan by pushing the chicken and noodles to the edges. Add more oil and crack your two eggs into the middle to cook. Once they start to cook (turn white) mix everything together again. Keep stirring and add Green Onions and more Peanuts. Add more oil if it gets sticky. 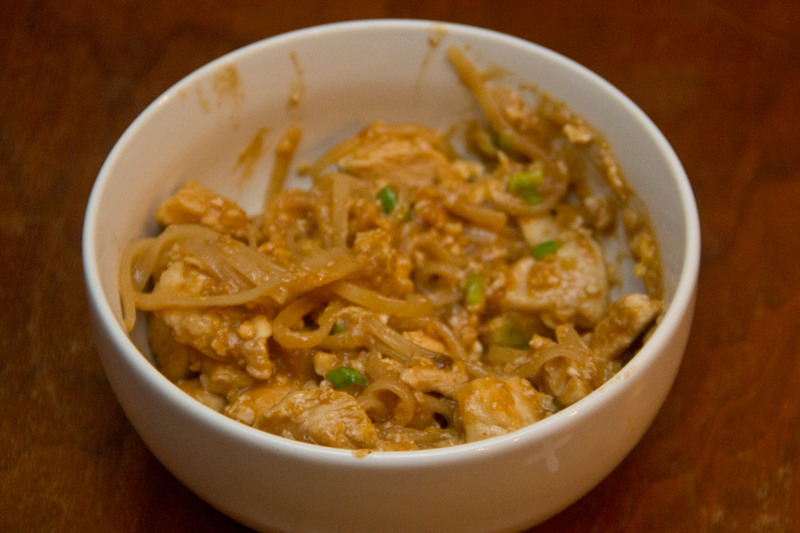 If you don’t have a wok, you can pick one up pretty cheap; or use a large frying pan. If you’re feeling rushed or stressed turn the heat down and cook it low and slow. Add more or less sauce depending on how you like it to taste.